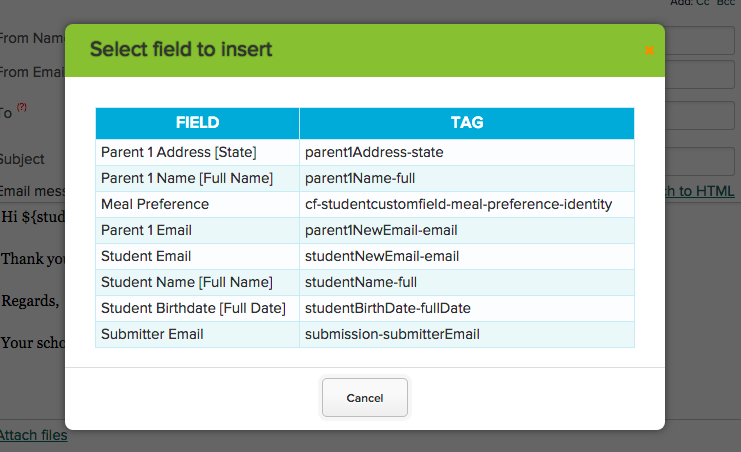 The list of auto-filled fields is dynamically generated based on the custom fields you create for your forms. The only exception is the “Submitter Email” field, since it corresponds to the email of the parent/student who accesses the form from either the Parent Portal or the Student Portal. The “Submitter Email” field will not work when the form is filled from a public page. So be sure to only use this field for the appropriate form/scenario. 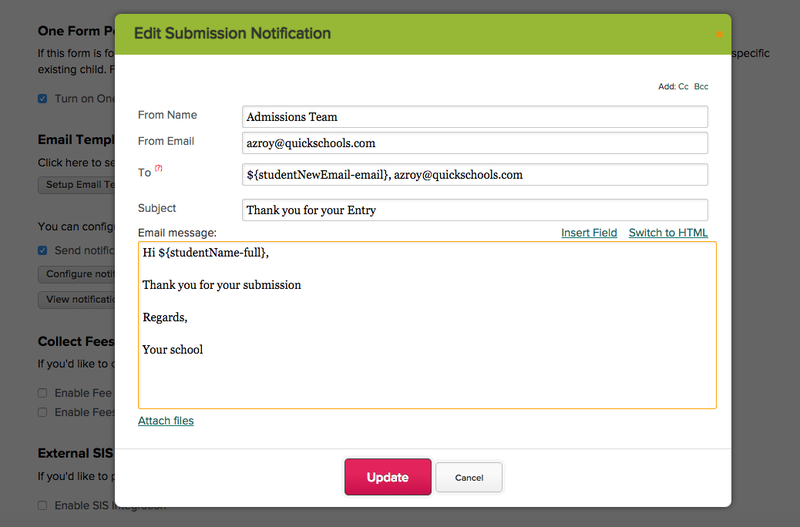 Email Templates are currently ONLY supported in our Online Forms App, but we will soon be porting this functionality to other parts of the software, like Admissions. Do let us know if there are other areas you’d like to see the Email Templates made available.